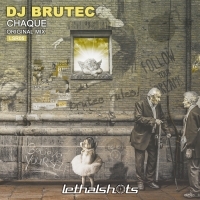 Dj Brutec, Bruno Valenzuela, is a young dj and producer from France. He’s been living in Granada for more than twenty years. In this city, he first heard Techno music and since them he became interested more and more in electronic music. Then he started to devote his life to produce great tracks and amazing sets to drive their followers crazy. Recently, He has published his first two tracks on vinyl with KICKMASOMAASS RECORDS, a Techno Label from Germany. Further, He has managed to publish in very important Labels in a short time:PHUNKATION RECORDS, AK RECORDINGS, TECHSTURBATION RECORDS,INFINITECH RECORDS, INVICTA RECORDS, INTUITION RECORDING PT, RATTLE RECORDS , UNDELIVERED RECORDS, UNAFFECTED RECORDS, LW RECORDING, CRITIKAL TECH RECORD, VERTEX RECORDS, etc... his tracks have reached the best place on the Top 100 in the Beatport, Trackitdown and DjTunes. Initially, he was influenced by Depeche Mode, Ben Sims, Carl Cox, Cristian Varela…. among others. His great self-taught personal potential has reached a personal style with defined lows and powerful drums. The Groove is a very important impact factor in his tracks, besides his very overwhelming sounds. The public of some of the most important disco in Andalucía (Sala Tren, Sala Quilombo, Sala Emporio, Dragon festival,TAXARA etc.) has enjoyed his sessions, addition to the listeners of the radio “The Break Factory FM” and “Territory of Crush”.